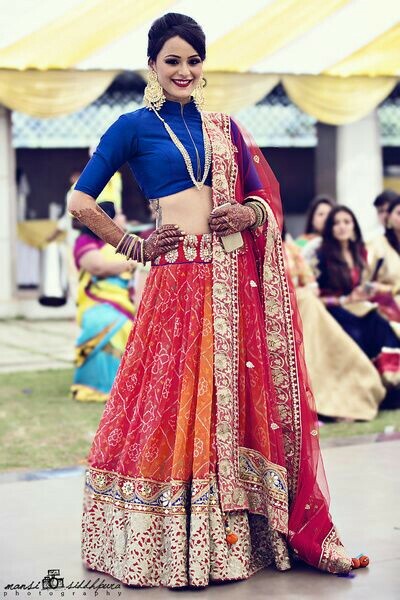 For most Indian women lehenga is preferred outfit idea when the even is wedding related. You may be the bride or brides sister or even a wedding guest and lehenga will fit right in as an appropriate outfit idea but in a sea of lehengas at a wedding how to you stand out? 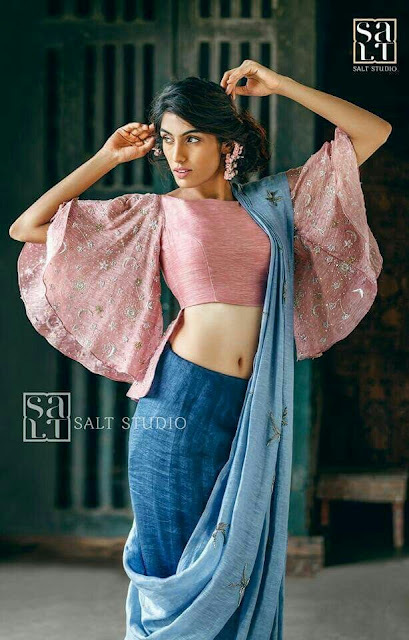 Experiment with blouse aka choli and choose from the hundreds of new patterns designers have been bringing out in their lehenga blouse designs. 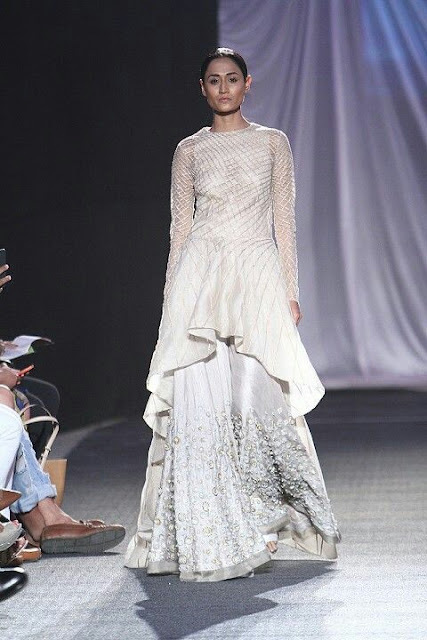 I have noticed Indian designers are modernizing ethnic wear by playing with blouse more than the lehenga. Sheer capes, fringe blouses, cold shoulder cholis are a hot in trend these days and if you are looking for what kind of blouse pattern to settle with for your lehenga this upcoming wedding seasom Iam here to help. I list to you 30 latest lehenga blouse designs for this wedding season which will work for most events like sangeet, cocktail, reception etc. Fringe details are totally in this season. If you aim to make heads flip this wedding season go for a lehenga blouse design with fringe details. Metallic fringes look glam and blend seamlessly into indian ethnic wear. To let your fringe blouse attract attention go simple on the styling and skip the dupatta. Collared blouse designs are hot in trend and wearing a shirt over a lehenga like a blouse is the fresh new indo western thing. I spotted Anushka Sharma wear this style style choli with lehenga combination in the movie Ae dil hai Mushkil and she rocked it. You can get a custom shirt style choli stiched with sequins and embellishments on the collar or just use you normal shirt and layer it up with chunky necklaces. 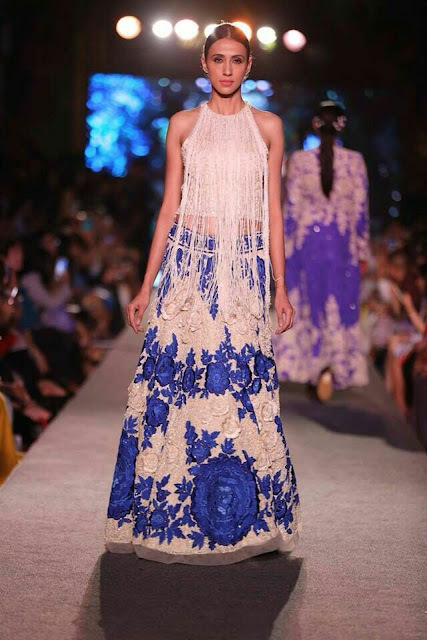 If you want to go edgy then team with blouse design and lehenga with a pair of gladiators or metallic sneakers. 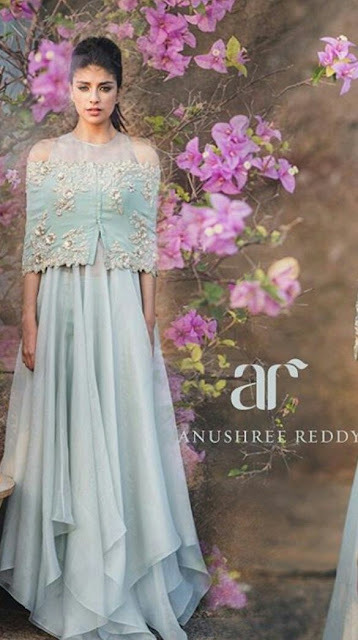 Iam loving this new alluring trend of floor length sleeves for lehenga blouses. 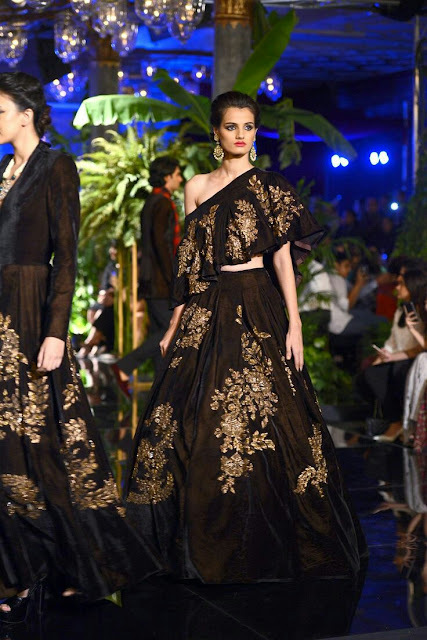 If dupattas are not your thing then these kind of lehenga blouse designs are made for you as they give an illusion of dupattas with loads of drama and oomph. This style can be worn for your own wedding for a sangeet or reception. 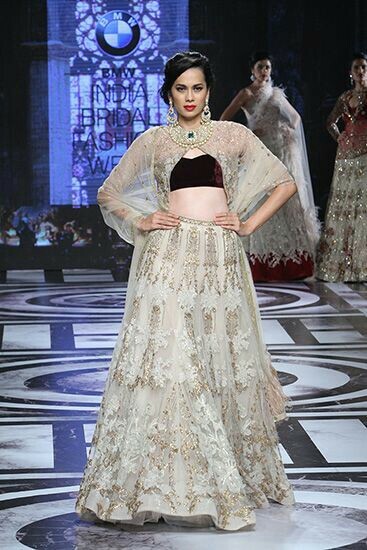 This floor lengths sleeve lehenga blouse design also makes for a great sister of bride outfit option. Cold shoulders area rage this season and celebrities have been sporting this trend with lehengas, dresses and even sarees. Pair your lehenga with a cold shouldered blouse and do away with the dupatta . 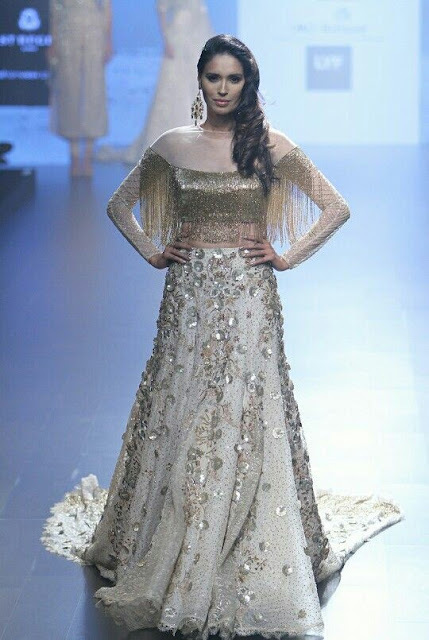 If you really want to carry the dupatta , then drape it in a way that it doesnt cover your lehenga blouse. 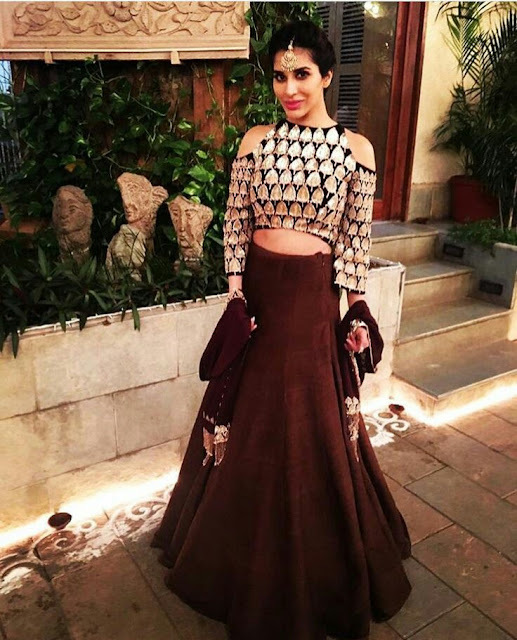 The way Sophie Choudary wears dupatta with her cold shouldered lehenga blouse design is the way to go. Capes have been in trend for a while now and I love them. I brought an ethnic gown with sheer cape to wear at my sisters wedding recently but you can try the lehenga with cape blouse combination too. 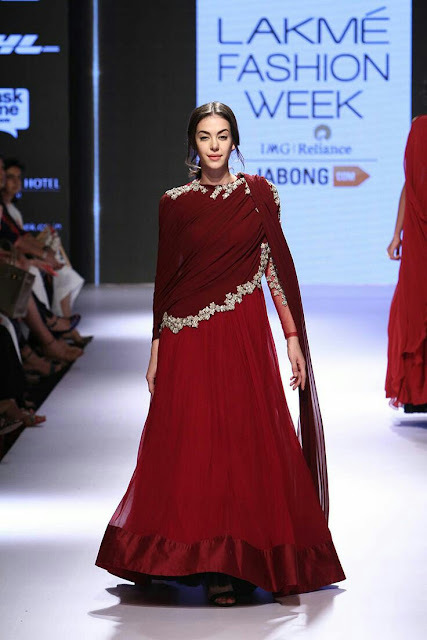 High neck lehenga blouse designs are great pick for winter weddings and if they are heavily embellished you can easily skip neck jewellery and go for huge earrings and some arm candy to complete your look. With high neck blouse designs it better to go sleeveless to balance things out and also make sure your dupatta is sheer to make the intricate work on blouse stand out. 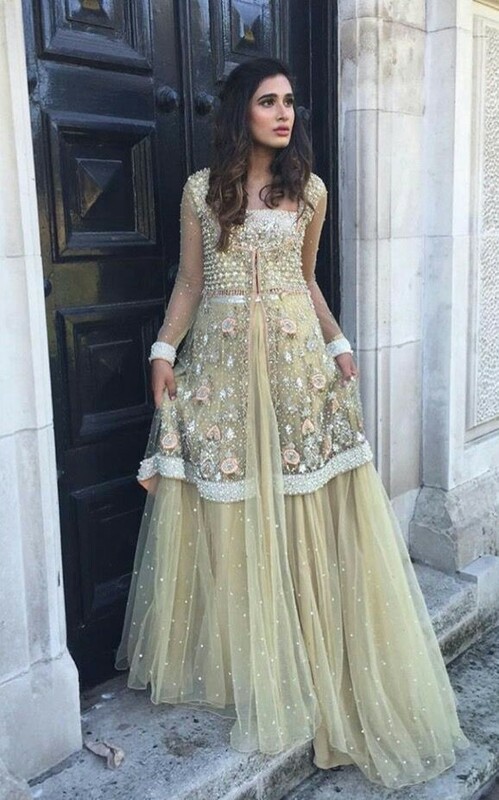 Floor length jackets over lehengas are in fashion and it is also a good way to reuse lehengas. 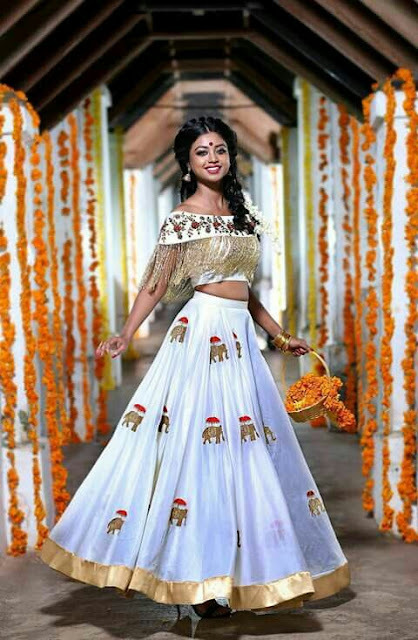 If you have a existing light lehenga choli set get a nice floor length jacket stitched in contrasting colour and you are ready to turn heads without spending much. 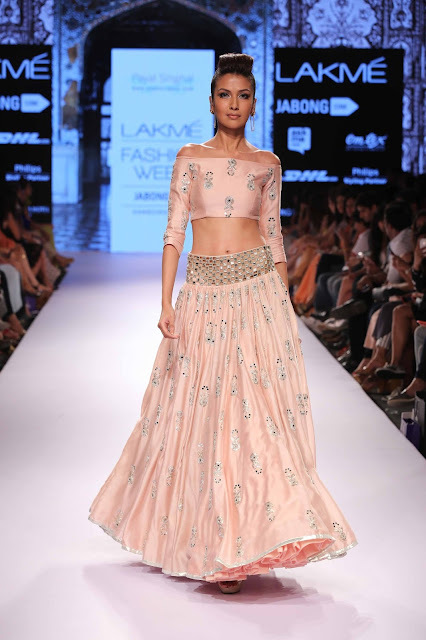 Choli patterns with asymmetrical hemline cuts give a very edgy and classy vibe. If you choose lehenga blouse designs with high low hemline uts then try keeping you lehenga light and simple. The vintage bell sleeve trend is back in fashion and if you want drama these kind of lehenga blouse designs will be a good pick. If you are not the experimental kind then go for longer sleeves with lesser flared bell. For a full on flared sleeve choose a embriodered or sequinned fabric. Also keep your dupatta pinned on shoulders away from the flared sleeve. The sheer capes are girly, chic and fun. If you have well toned arms and midriff show it off the traditional way under a sheer net layer of cape. 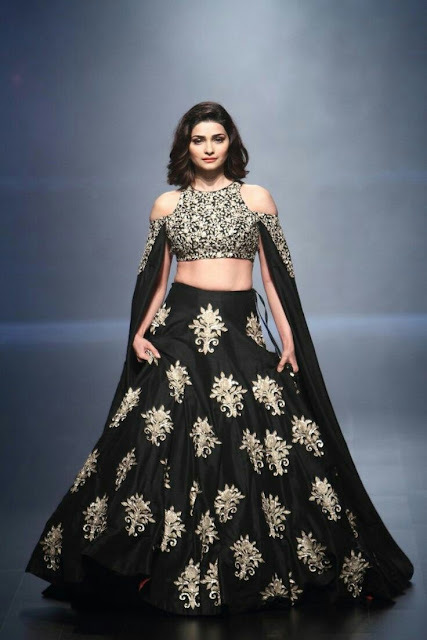 If edgy ethnic style is what you are looking for these all new zippered lehenga blouse designs are your answer. Zippered detailing on blouses lends your look a very contemporary feel and makes things a whole lot more interesting. Dupattas are being skipped with ethnic wear these days to keep things comfortable but designers have come up with the all new pre draped and stitched dupatta to simplify things. These kind of lehenga blouse designs are mostly available from designers but you can take your existing light lehenga set to an experienced tailor and get its dupatta pleated and stitched near the shoulder area. The traditional lehenga can be given a fun twist by pairing it with peplum style lehenga blouse designs. If you dont have flat tummy this kind of blouse style can be a blessing for you. Weddings are atraditional affair and not much skin show is allowed. If your family is very conservative then play safe by going for full sleeve lehenga blouse designs which look regal and also give lot of scope for intricate work to be flaunted. Sequins or delicate embroidery on sleeves can make your look stand out but if you are not a full sleeve fan then you can go for sheeer net full sleeved blouses for lehenga. If you have well toned shoulders then off shoulder lehenga blouse designs is a nice idea. Flant your arms and a heavy choker for a glam wedding look. Crop top style blouse designs are a big hit with lehengas. Go for a high neck blouse if you are going for sleeveless choli or opt for a deeper neck and balance out the crop top with longer sleeves. 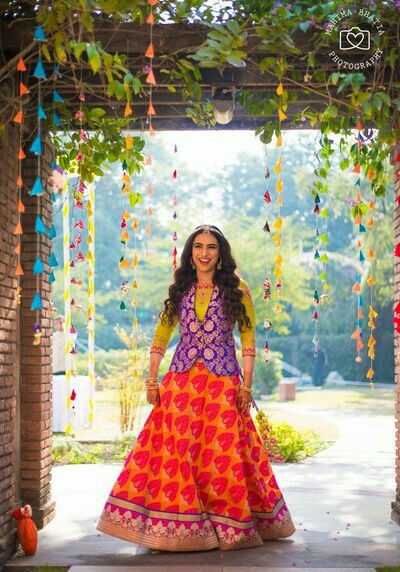 IF you are getting a crop top stiched make sure it is same colour as your lehenga becuase contrasting colours dont work well with this style. Which of these lehenga blouse designs are you planning to sport this wedding season?